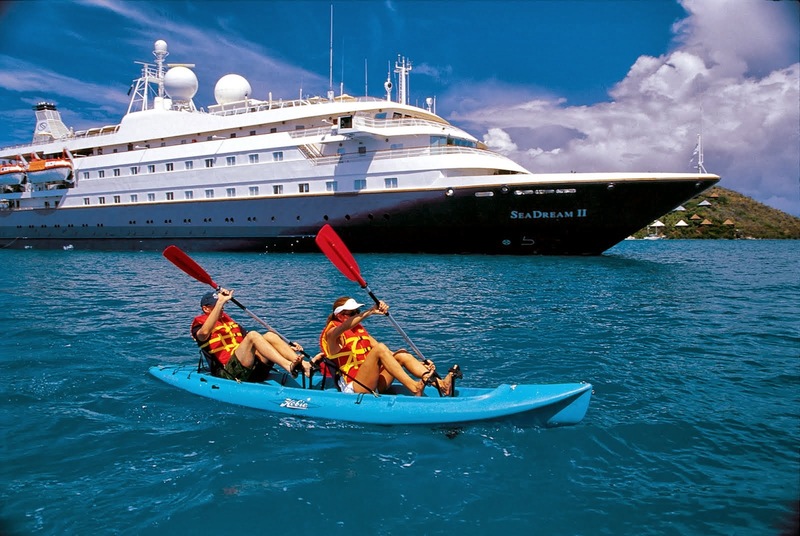 Croatia holiday specialist Beyond Travel has added new, more upmarket, small ship cruising options in Croatia for 2014, to meet demand from travellers seeking a more comfortable voyage along the Dalmatian Coast and islands. 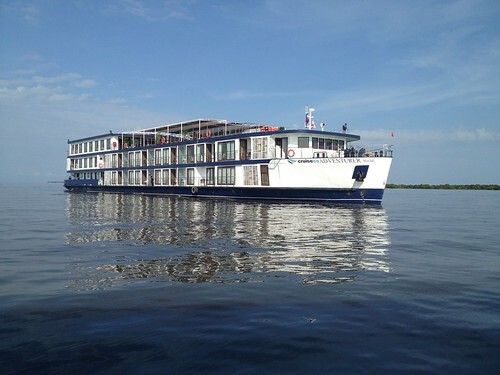 Six new sophisticated vessels will be introduced for the 2014 season all of which are extremely good value but offer more comfortable public areas, modern cabins and other facilities. An example is the MS Splendid which will have 15 guaranteed departures of an eight-day roundtrip from Dubrovnik visit Mljet, Hvar, Split, Brac and Korcula which will cost from $1680 per person twin share and include $300 Travel Credits per couple for any other Beyond Travel services when paid by December 20. Another new vessel is the MB Krilo Pride which also operates an eight-day roundtrip from Dubrovnik which includes visits to Mljet, Korcula, Hvar and Split with prices from $1985 per person. Generally, the ships carry 35 to 40 passengers, offering a friendly and relaxed atmosphere with stops daily in small historic ports inaccessible to larger cruise ships. All Croatian cruises include on board accommodation, half-board, sightseeing tours, arrival and departure transfers, port fees and taxes. Just as cruising along the famous Mekong River in Vietnam and Cambodia is hitting its straps, news is that dams being built further up the river in Laos in a joint project with Thailand seem likely to change the nature of the Mekong forever. Anyone who has cruised the Yangtze in recent years will know firsthand how comprehensively dams can alter the character of a river. Instead of little traditional villages and subsistence farming and fishing, we have concrete and steel replacing authentic materials as the water rises and the population is relocated to high-rise developments. Will this happen to the Mekong? The truth is no-one knows. 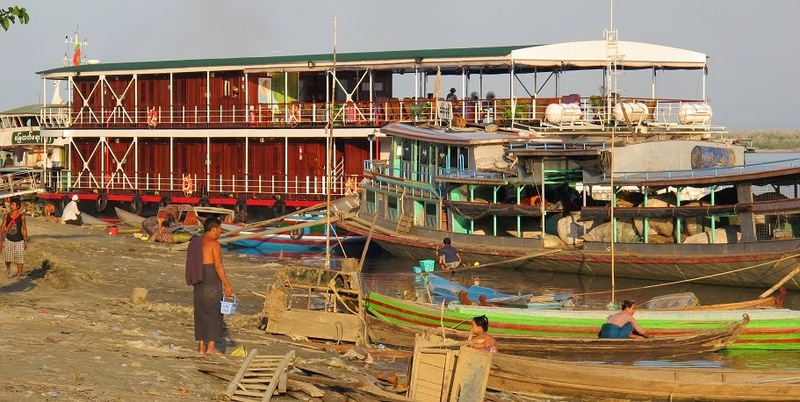 But what is fairly certain is that the river dependent communities in Cambodia and Vietnam who the river cruising tourists visit on a daily basis will face food security threats. Fish migration patterns and the life-giving flood cycles will be seriously impacted. Worldwide, the Mekong River ranks second in fish diversity after the Amazon, with more than 1000 new plant and fish species discovered in the past decade, according to the World Fish Center. 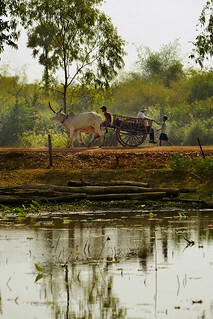 About 60 million people in Thailand, Laos, Vietnam and Cambodia are dependent on the Mekong for their livelihoods, according to the World Wildlife Fund. "The Don Sahong ... will block migratory fish, which is 70 percent of Mekong fish, from swimming upstream and down on the only channel that allows the fish to reach the upper part of the Mekong," said Ame Trandem, the Southeast Asia programme director at advocacy group International Rivers. She said the (Don Sahong) dam, which will require 95,000 truckloads of riverbed to be removed, will devastate the region's fish and dolphins, the tourism industry, and the hundreds of thousands of fishermen whose livelihoods depend on the Mekong. 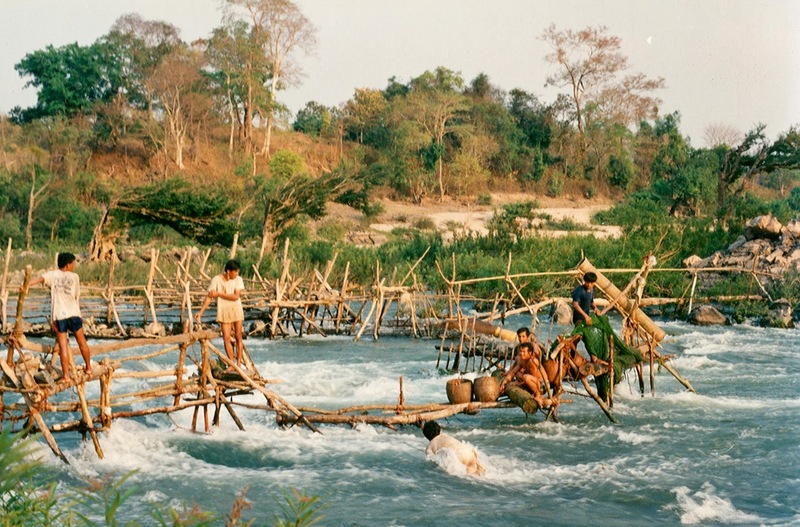 Further north in Laos, the Xayaburi Dam is creating equal if not greater concern. The Mekong Basin Community Council Network (MBCC) has called on the Thai government to step in and help block the construction of both dams on the mainstream Mekong River. Critics and environmentalists are angry with Laos and Thailand for failing to uphold their pledge to consult neighbouring countries under the 1995 Mekong Agreement, which requires thorough consultation on every project proposed for the mainstream Mekong River. Others are less coy in their objections accusing stakeholders in both Laos and Thailand of putting massive profits before the livelihood and security of the residents all along the Mekong. One cruise operator spoke to CW on condition of anonymity. "We just don't know what will happen. 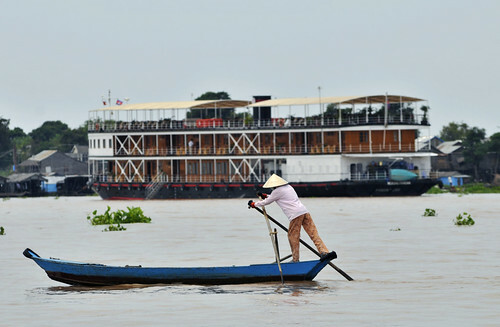 All around the world the effects of dams on rivers can be seen and Mekong cruise lines have made massive investments in ships, staff and infrastructure. This uncertainty is not good for anyone's business and clearly the people who stand to suffer the most are those who live along the river. Our guests develop an emotional bond with the families and townsfolk who welcome and host us. 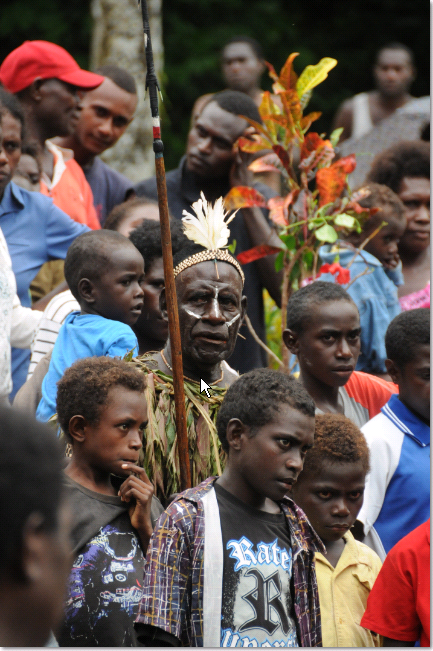 Many are distressed that the river communities who have already suffered so much face new and completely avoidable threats." British-born journalist and filmmaker, Tom Fawthrop, has worked in Southeast Asia for more than 25 years and studied the dam project. "Yes, of course the rural people in Burma, Laos, Cambodia and Thailand have the right to electricity, but they also have the right to fish. You can't eat electricity." CNN's On the Road series explores the culture, heritage and customs of a country, covering popular culture, food and drink, design and architecture, sport, technology and innovation. 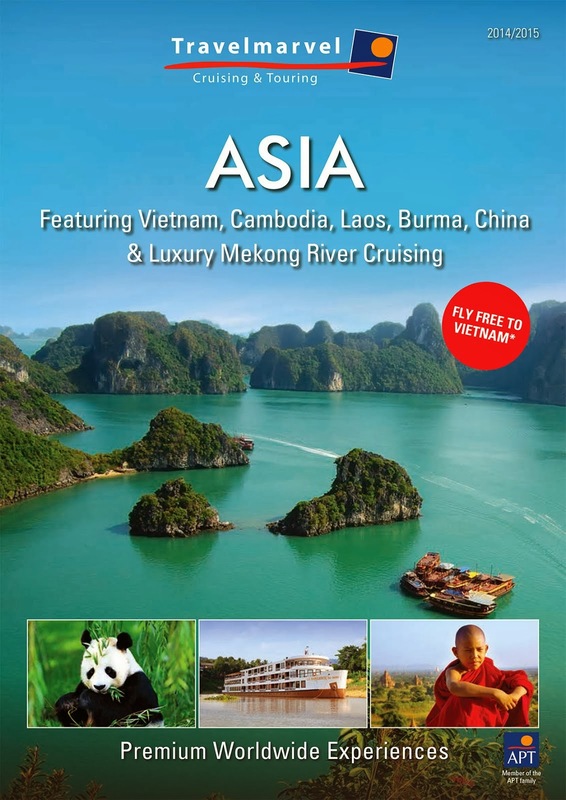 The channel brings you greater insight into Myanmar, from the famous pagodas to the treasure of Mandalay. Pandaw River Expeditions is proud to have welcomed the CNN crew on our RV Indochina Pandaw last month. American Cruise Lines officially announced today its 2014 cruise schedule, which includes over 35 unique itineraries. With advance bookings already ahead of the previous year, the line is preparing for an exciting year ahead, with new itineraries and plans to operate more cruises than it ever has before. In the American Heartland, American Cruise Lines has added a new itinerary on the mighty Mississippi River. 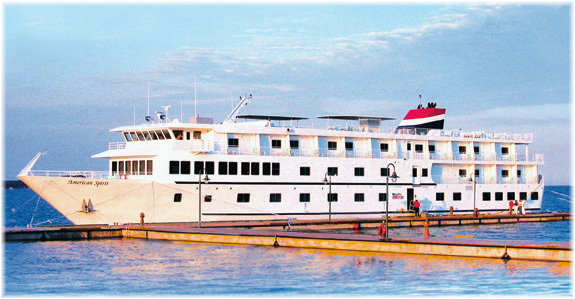 New for 2014, the line’s authentic paddlewheeler Queen of the Mississippi will be operating new St. Louis to New Orleans cruises. This new itinerary allows guests to experience a greater portion of the Mississippi River, by sailing through six states, in only eight days. The new cruises are being offered exclusively by American Cruise Lines. Furthermore, due to popularity and demand, American Cruise Lines has added eight more sailings to next year’s Puget Sound & San Juan Islands schedule. Newly introduced this year, the eight-day roundtrip cruise from Seattle, explores the hundreds of islands nestled between Canada’s Vancouver Island and the U.S. mainland. Guests enjoy breathtaking views of a diverse natural wonderland and experience the region’s culture with guided tours to historical sites and museums. 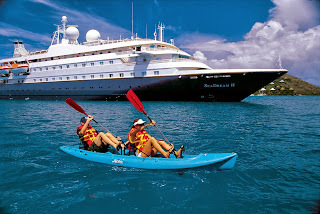 2014 sailings are offered March through November. American Cruise Lines will also be announcing a robust 2014 theme cruise and entertainment schedule in the coming weeks. It has been five years since Silversea Cruises launched its first expedition ship, the Silversea Explorer. 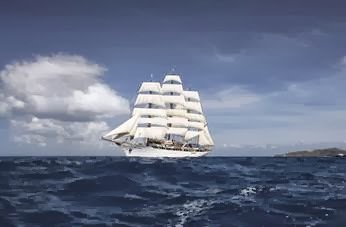 But in the last year it has stepped up the pace, launching the Silver Galapagos this month and announcing plans for a third ship, the Silver Discoverer, in 2014. In one fell swoop, that ship will add more than 150 destinations to the line's catalog. Ellen Bettridge, who arrived 18 months ago as Silversea's president of the Americas, talked about Silversea's expedition fleet with cruise editor Tom Stieghorst. 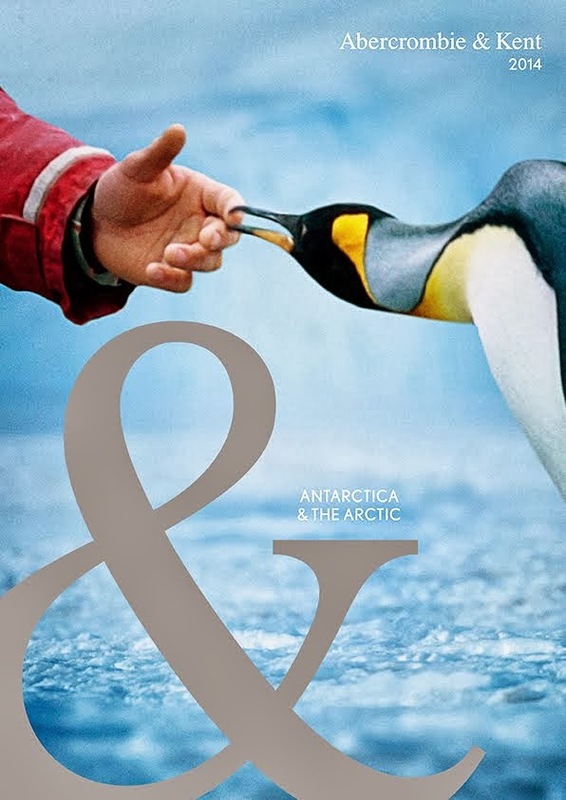 Q: Why has Silversea expanded into expedition cruising? A: We've had our Silver Explorer for five years now, and we've had great success with her. She truly is an expedition ship, which has been what encouraged us to purchase the Silver Galapagos. Expedition cruising is just really hot right now, and especially when we can actually own this market, because we have that luxury twist. So we believe this is a great way to bring customers something that they're really asking for. Following an extensive refit and makeover, Island Escape Cruises is poised to introduce its luxury small ship “Island Passage” on its inaugural series of Fiordland Cruises in early December. Internally and externally, the vessel will have never looked better after its most extensive makeover since entering service. Externally the vessel’s hull is being completely sandblasted before gleaming coats of rich flag blue are applied. Onboard, suites and staterooms will be refurbished with new carpet, textiles, furniture and luxury bed linens. The vessel’s traditional wood-panelled elegance will be complemented by a contemporary palette of understated tonings with tasteful splashes of colour in furnishings, bed throws and cushions. With guidance from a leading Auckland Creative Designer, the vessel will emerge with a fresher, lighter, crisper and more contemporary look. Upgraded bathrooms will feature French soaps and toiletries by L’Occitane en Provence. In other changes, a Cruise Director will join the established shipboard team for the first time. As on board liaison officer between the ship and its 24 guests, this role has been introduced to ensure guests’ expectations are impeccably met and even exceeded. As the only small ship operating to luxury standards in Fiordland, “Island Passage” offers a unique insight into one of the world’s most remote and spectacular destinations. Limited space is still available on selected sailings. With seasonal cruises in both the renowned Bay of Islands and enchanting islands of Vanuatu, the vessel is successfully attracting more and more repeat passengers. Sixteen people were forced to abandon ship when a luxury yacht caught fire and sank off the far north Queensland coast this morning. Eight passengers and eight crew were on board the Seafaris when the blaze broke out on the 41-metre vessel in Cow Bay in the Daintree region about 6am (AEST). They abandoned ship and were rescued about 90 minutes later by a bulk carrier which heard the yacht's mayday call. The group has arrived in Cairns and paramedics have checked two elderly passengers. Mr McCloy is on his way to Cairns to find out what happened. He says he is devastated the multi-million-dollar vessel, which attracted visitors from around the world, has been destroyed but is thankful those onboard are safe. "(The boat was) a marvellous thing for Australia and it was doing great charter work, but the charterers on board are safe and that's the main thing I'm concerned about at the moment." The Newcastle-built Seafaris undertakes charter trips and tours of the Whitsundays and the Great Barrier Reef out of Cairns. Tahiti’s freighter cruise line, Aranui, will make its first scheduled calls to Bora Bora next year including a special Christmas visit. 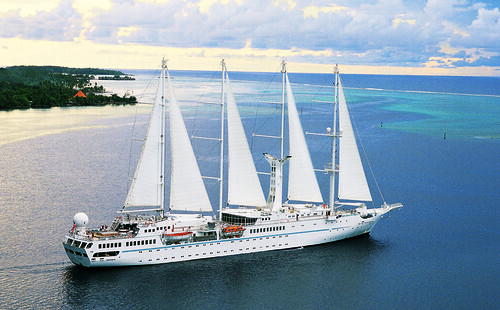 Aranui is best known for its 14-day cruise adventures to French Polynesia’s mysterious Marquesas and the pristine Tuamotus but will also add two visits to Bora Bora’s famed blue lagoon during April and December 2014, with fares from $8799* per person twin share. Aranui’s Regional Representative Australia New Zealand Laurent Wong said Bora Bora would be a highlight for passengers booking the special cruises. “We visited Bora Bora for the first time during Aranui 3’s 10th birthday celebrations earlier this year and after seeing how much our passengers enjoyed it, we realised we needed to call more regularly,” Mr Wong said. “We pride ourselves on showing off some of the most beautiful parts of French Polynesia and by including Bora Bora, our passengers get the opportunity to see three very different archipelagoes (Marquesas, Tuamotus and Society Islands). The special Bora Bora visits on April 17 and December 25 will include a picnic lunch on a secluded beach with optional activities ranging from an island tour to a lagoon excursion, manta ray experience and a helicopter ride. Ultimate Cruising has all-inclusive packages priced from $8799* per person twin share for a standard cabin on Aranui’s April 5 and December 13, 2014 departures. Each cruise will feature a call to Bora Bora, included shore excursions at 16 ports, all main meals, complimentary wine with lunch and dinner, return economy airfares from Sydney, Brisbane or Melbourne with Air Tahiti Nui, four nights pre and post accommodation at Manava Suite Tahiti with breakfast, taxes and all transfers in Tahiti plus to and from home within 35km of the airport. 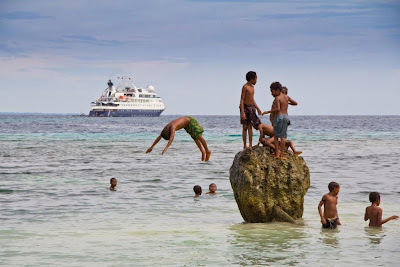 The freighter line dispenses a lifeline of food, fuel and other staples to the remote ports in the Marquesas and Tuamotus while passengers disembark and explore lush Garden of Eden landscapes on a range of complimentary excursions including hikes and 4WD tours. Throughout the journey, guests enjoy the comforts of a cruise ship from a spacious sundeck to a freshwater swimming pool, a gym and a library. *Subject to availability, conditions apply. Prices are per person based on twin-share. Single occupancy attracts a 50 per cent single supplement surcharge. Silversea has launched its second expedition ship. 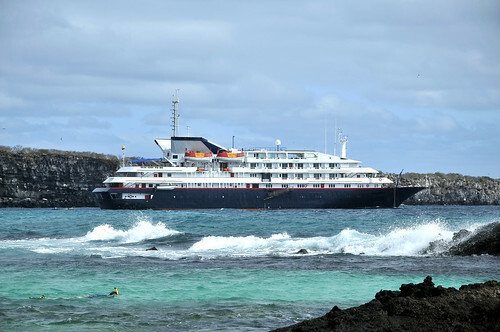 Fresh from a major refurbishment, the 100-guest ship (formerly named Galapagos Explorer II) embarked September 28 on her first-ever voyage as Silver Galapagos.